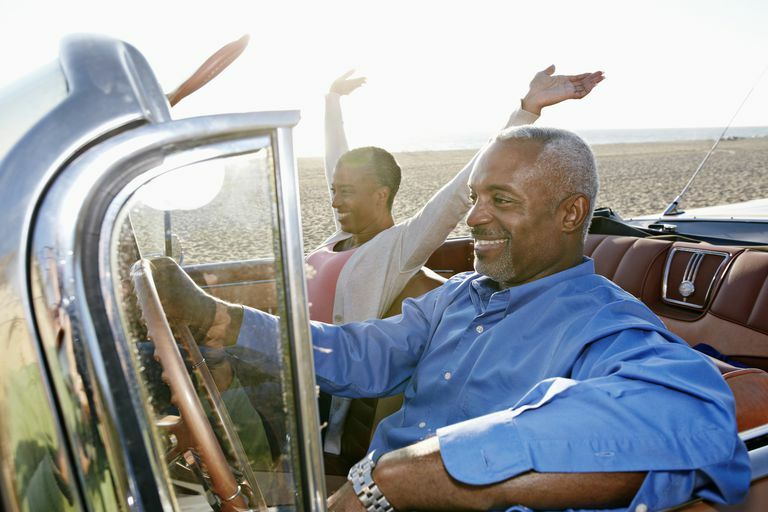 Road trips are one of the more relaxing and easy ways to travel - if you are an empty nester. With no children in the backseat whining about being bored, hungry, in need of a restroom or annoyed with their siblings, you - by yourself or with a spouse or partner - can take the less-traveled route, if you prefer, and see parts of the country that are lesser known and, probably have hotels and restaurants that are a bit more charming than a fast food restaurant and chain motel off a highway. So fill up the tank, crank up the radio and get going! If you don't live on the west coast, it's very possible that your visit to California with your kids centered on locations with theme parks - Los Angeles for Universal Studios, Anaheim for Disneyland or San Diego for Sea World. There's a whole lot more to see in California beyond surfers and roller coasters, though. Start your drive in Santa Barbara, with its world class resorts, restaurants, shopping and mansions in the hills. Then visit San Luis Obispo, where small town and college town meet - Cal Poly San Luis Obispo is there. You can do wine tasting in Paso Robles, beach walks in Cambria, or tour Hearst Castle. From there head up to the somewhat treacherous but breathtaking drive through Big Sur, and end your trip in the seaside town of Monterey. You are guaranteed a beautiful journey. This national scenic byway follows the Mississippi River, with a few twists and turns along the way. You catch a glimpse of all kinds of topography, from farms to swamps, forests to cliffs, and plenty of wildlife to delight you. Spanning ten states, the Great River Road will take you off the beaten path and into Americana unique to the Midwest and the South. Because no large trucks are allowed on the road, it's easy to drive - and can be done in 36 hours, if you're short on time. A gorgeous fall foliage road trip through New England is a combination of luck and timing, but if you get it right you'll be rewarded with eye-popping colors, crisp fall weather and plenty of apple cider. If you have plenty of time, plan to visit Vermont, New Hampshire, Massachusetts, Connecticut and Maine. Bed and Breakfasts are plentiful so there's no need to stay at an ordinary chain hotel. With careful planning, driving on roads other than main highways can be done and will allow you to see and experience the most charming and lovely parts of this part of the country. Louisiana and Arkansas are chock full of historic places - and the food and entertainment aren't bad either! Begin your trip in New Orleans, where jazz music, potent cocktails and decadent food are plentiful. Take in the architecture inspired by French, Caribbean and Gothic design while enjoying a beignet and coffee. Head towards Baton Rouge, where historic plantations dot the outskirts of town and where you can tour the bayou. In Arkansas, make a stop in Hope to visit the Clinton Presidential Library, and then go digging for diamonds in Murfreesboro. Wind up your trip relaxing in the hot springs of Hot Springs, Arkansas, where you can also visit the Gangster Museum of America. Route 66 is, quite possibly, the most famous road in the United States. Both a television show and song were named for it. Stretching from Chicago, Illinois to Santa Monica, California, Route 66 takes you through Missouri, Kansas, Oklahoma, Texas and New Mexico on the way to the sunny beaches of the west coast. Don't miss the World's Largest Ketchup Bottle in Collinsville, Illinois; visit the San Miguel Mission, the oldest church in the US, in Santa Fe, New Mexico; see one of the 7 wonders of the world in Arizona when you stop at the Grand Canyon; stay at one of the only wigwam motels left in San Bernardino, California; and end your trip with a ride on the Santa Monica pier's ferris wheel, where you can enjoy the Pacific Ocean and maybe spot a movie star or two.